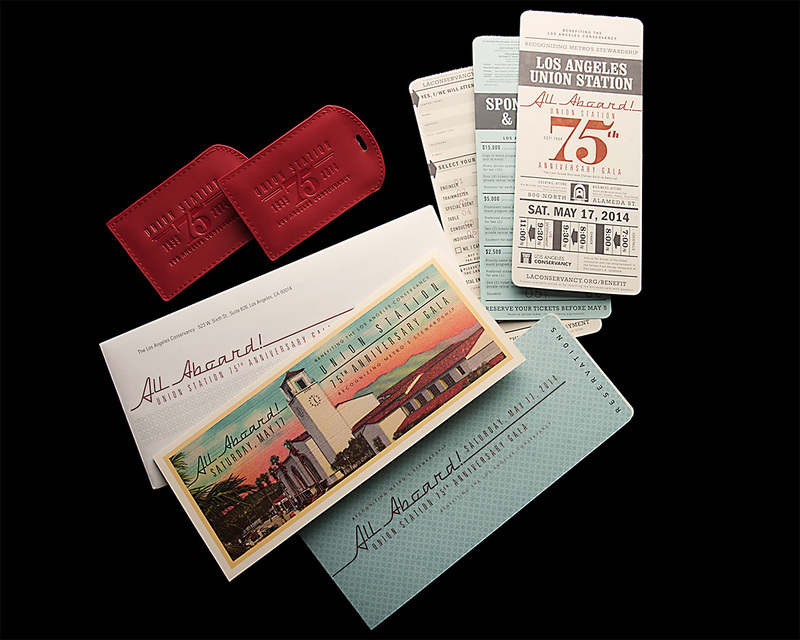 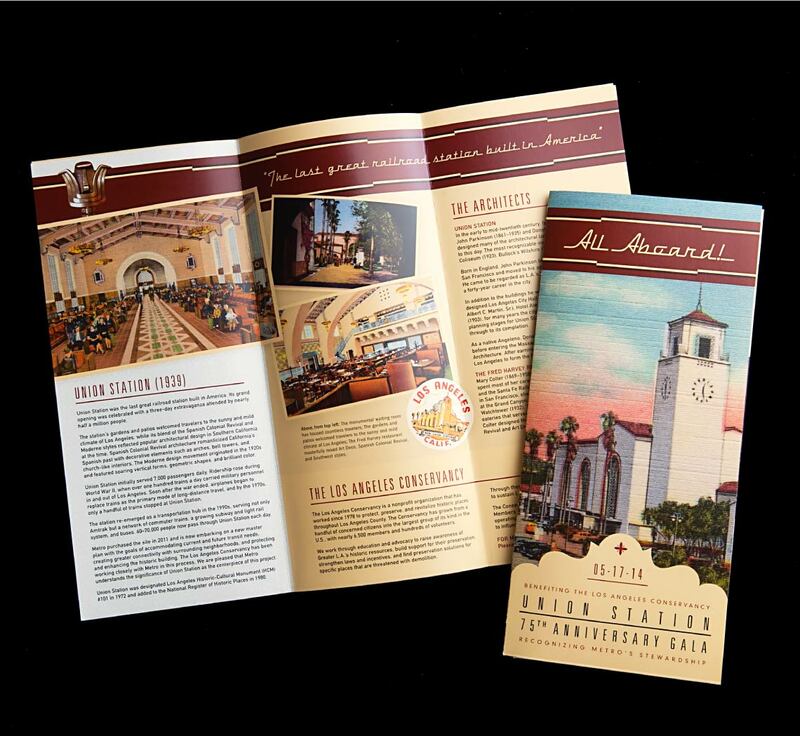 Invitation package, event program, and souvenir poster for an annual fundraising event for the L.A. 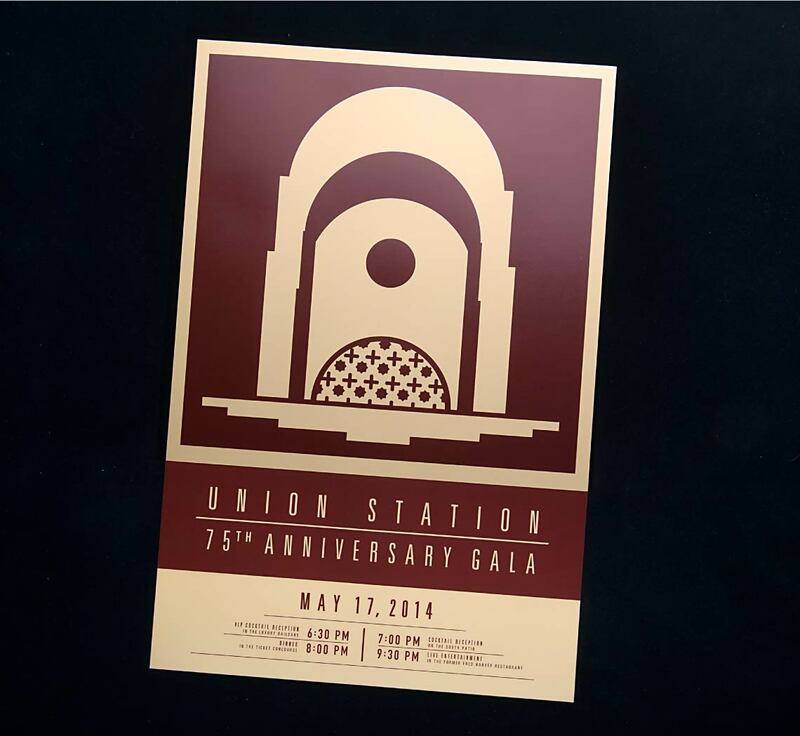 Conservancy, held in 2014 at Los Angeles Union Station in honor of the 75th anniversary of the iconic passenger terminal. 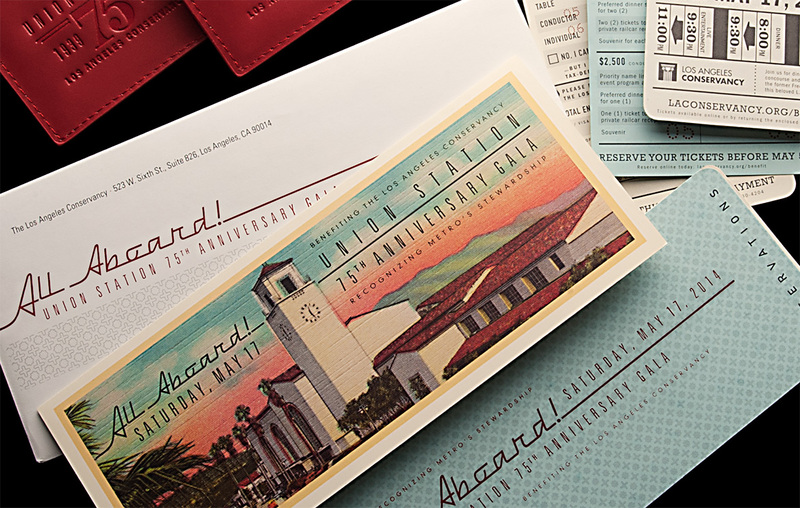 The design was inspired by vintage rail ticket books and typography as well as the station’s architectural details, including its intricate Moroccan tile work. 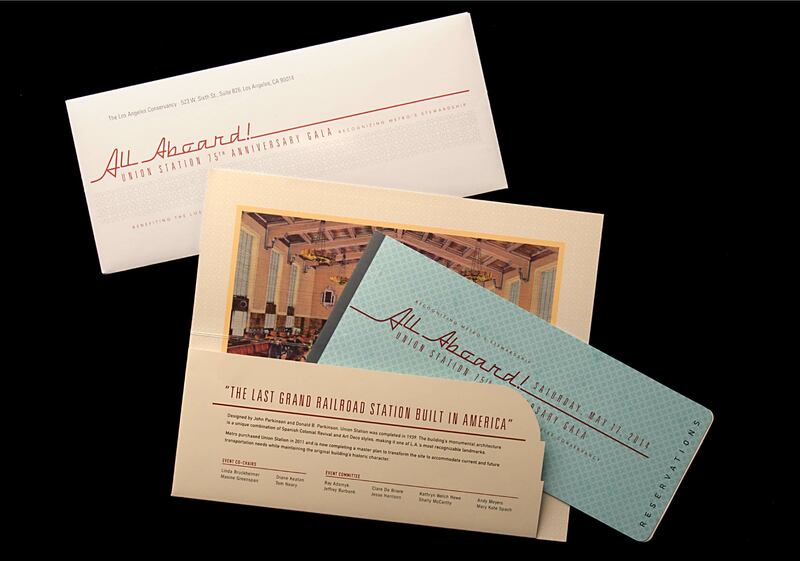 Offset printed on French paper, perforated and die cut, and hand-assembled at Shapco.